← Did I Tell You This Secret? 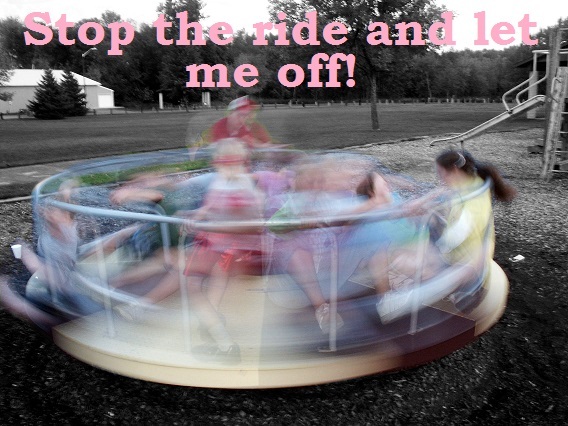 Stop The Ride And Let Me Off! If anyone asked me Thursday if I had any residual problems from my car accident, I’d have said yes. But I’m mostly better, and what’s left doesn’t really affect my life. Much. If I don’t do my physical therapy stretches every day, I’ll regret it. I still don’t deal well with an overload of stress, so I avoid it as much as I can. And I’ll never be able to go on any carnival ride – except the Ferris wheel and merry-go-round – because of the head injury and a little damage to a nerve in my right eye. Last evening, I went to a graduation at Michigan State University. I was running late, so I imagine that’s why the huge number of cars in the parking ramp didn’t really register. In fact, there were only two thoughts running through my head as I drove round and round, going up farther and farther from the ground with every circuit. The first was please, please, please don’t let me get stuck on the top level. And the second was to keep my focus on the cars and concrete floor, don’t look at the half walls because if I did, I’d see how high off the ground I really was. High places make me dizzy – not something I want to be when driving. For the record, my fear of heights has nothing to do with the head injury. I wound up standing in the hall for much of the ceremony – and it was still too loud. Teens whooping it up, too much applause … and the doors were closed. I was really stressed, and feeling like I needed to leave. That desire to flee got nothing but stronger when everyone started streamed out into the lobby. With the shoulder-to-shoulder mob making zero attempt to be quiet now, the noise that had been so bad before was ten-thousand times worse. The air that wasn’t being sucked out of the room felt too warm. I stood with my back against a wall trying to breath, and then one woman plowed through the crowd, slammed into me, shoving me back several steps. Slow deep breaths helped some, but then it was like … I have to get out of here! Eventually, the graduate appeared. I got a few pictures, bid them goodby, and headed to my car. I started walking so fast I was almost running when the elevator stopped at the third floor, and I climbed in my van, breathless, and slammed the door. All I wanted was to get out of Lansing and go home. After the accident, the doctor explained that too much outside stimulation was overwhelming. It’s a lot better than it was, and I thought I was completely over it. Clearly, I was wrong. Now that I’m aware it can still be a problem in certain situations, I can figure out a way to deal with it. Hopefully, my reaction was so strong because the week before had been incredibly stressful, and I’d missed even more sleep than usual. Whatever the reason, I was really surprised at how well I didn’t handle everything. I guess even though I’ve come a long way, I still have a ways to go. Someday, I hope to be 100% who I was before Ed ran the red light and hit me. Will I get there? Who knows? But I’ll do my best to get there. It doesn’t happen often, but sometimes this song perfectly describes how I feel. 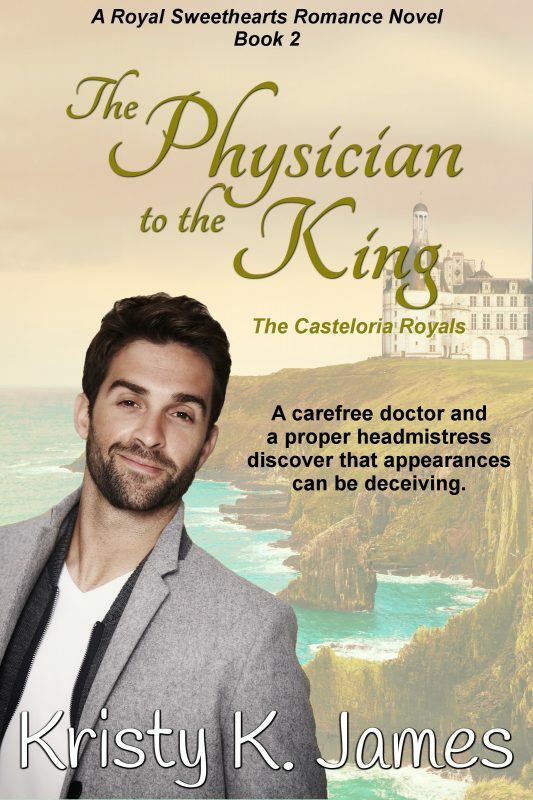 This entry was posted in Love and tagged A Harry Situation, A Hero For Holly, Brody's Banshee, Code Red Christmas, Enza, Erin's Christmas Wish, Head Injury, Her Best Friend Jon, historical fiction, Holding On To Yesterday, Holding Out For Love, Kristy K. James, Laying Low in Paradise, TBI, The Daddy Pact. Bookmark the permalink.